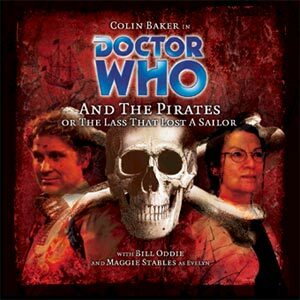 Summary: Evelyn arrives unexpectedly at the quarters of one of her former students, Sally, and proceeds, with the Doctor’s help, to tell a story of piratical adventure to the protesting Sally. With each episode, this story takes another unexpected turn. Unexpected Thing: Since it includes Gilbert and Sullivan music, I was under the impression that the story would be silly and lightweight. I should have known better, given Big Finish’s other productions. I can’t blow this for you, but just have some tissues nearby, ok? The compositions here are very, very strong. Gilbert was a brilliant lyricist, and many writers since have been baffled by trying to update his lyrics. The production team here did a lovely job within the second and third episodes, with the highlight being Colin Baker’s solo “I am the very model of a Gallafrayian Buccaneer.” [That one’s getting separated and going with my Chameleon Circuit playlist. 🙂 ]Very clever work, chaps. The overture (which is actually played at the end) combines the Who theme baseline with several themes and harmonies from a variety of Gilbert and Sullivan operettas, including Pirates of Penzance and The Mikado. It’s beautiful and worth the price of the download alone. Another particular bit of loveliness, given my love for words, is the nature of the meta-narrative (these elements are strongest in the first episode, but resonate throughout). Evelyn is telling the story, but she keeps getting confused and having to go back and change bits. In addition, we soon learn that she also is hiding something. Soon, the story spirls out of control, as Evelyn gets in too far before realising that she can’t escape the story without finishing it, including the parts she doesn’t want to remember. Only after listening to the entire story does the subtitle (common in G & S works) carry its meaning and impact : The Lass That Lost a Sailor. Speaking of Young Jem, Doctor Who as a program is rather known for its high body counts, especially of nameless soldiers, guards, and townsfolk. Just look at Resurrection of the Daleks, for heaven’s sake! After a while, as viewers, we come to regard these deaths of nameless guys as blasé. In this story, though, the author writes a very powerful argument against our callous attitude towards the death of extras and minor characters. The name games that Evelyn plays with the sailors first establish them as fairly interchangable, but this comes to an unexpected fruition in the deaths as the story continues. Each murder builds in power, until Jem’s death becomes unbearable. We don’t even hear/ see it, but Jem’s murder forms the crux of the story and lends it heart-breaking strength. In fact, the tone change as we approach it provides such glaring contrast to earlier episodes that it reveals them to be Evelyn’s attempts to whistle in the dark. It also gives us a glimpse, perhaps, why the Doctor gallavants with such jocularity around the universe, even though he carries with him the weight of constant death and evil. 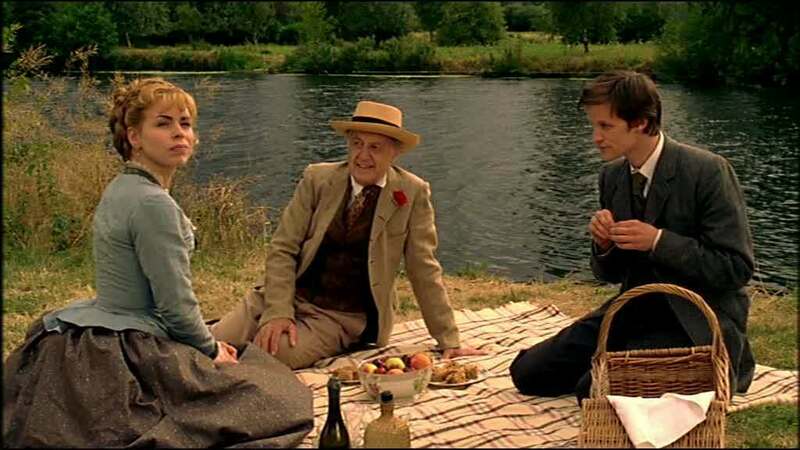 Following up on the lessons we and Sally learn as we hear the story, the Doctor’s final scene alone with Sally provides a capstone to the adventure. It could very easily have descended to preachiness, but it rather neatly side-steps this. Instead, it just reinforces what we are all thinking, as we muse with Sally. Overall– a strong story that unexpectedly stayed with me. I’d definately recommend it for anyone who likes radio drama, G & S, or the Doctor. I’m very very excited because today marks my official debut out there in the vast world of podcasting. We’re on iTunes and everything! Our little show, called Professor Dave’s Ark in Space, is Dave and I having a discussion about what elements of our culture mark the best and the worst of humanity, and generally having a great time while we’re at it. 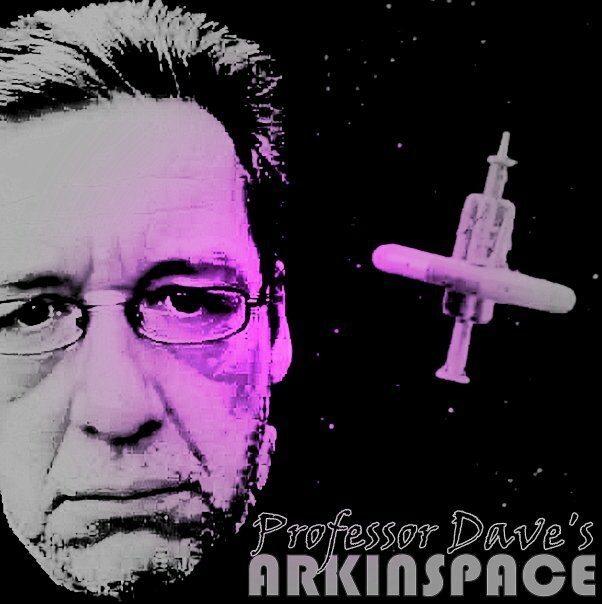 If you love it, we also have a facebook group– just search for Professor Dave’s Ark in Space. Today marks the 46th anniversary of Doctor Who’s premiere on British television, so I thought I’d chronicle for you my introduction into its fandom. Though I’ve watched Doctor Who on and off for many years, and I was completely excited when it came back on Sci-Fi Channel, I wasn’t involved in any fandom activities at all. In fact, I didn’t know there WAS a Doctor Who fandom, really. The only people I knew who liked it were my siblings and my mom. My biggest exposure to other people liking the show was during pledge breaks on PBS during Sci-Fi Saturday Nights on WXEL back in the day. 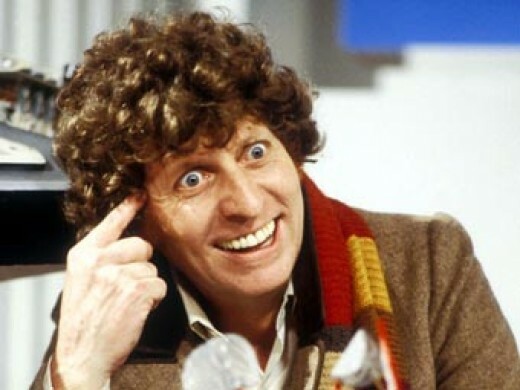 The 4th Doctor was my Doctor. Buying my ipod last autumn really marked my entry into a huge world that I never knew was there. While I was discovering podcasts of radio shows I liked, I stumbled across The Whocast. They were the entry drug. The discovery that not only were there other people out there who knew about and liked Doctor Who, but there were A Lot of them, was pretty astonding. 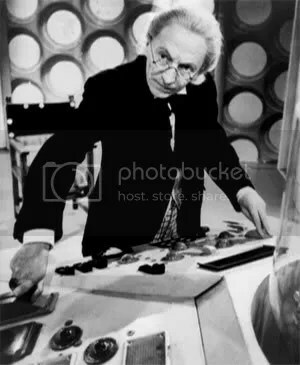 After listening to the back catalog of Whocast, I found that I most enjoyed the episodes with Tony, so I then back-tracked to Staggering Stories, and then on their recommendations, over to Tin Dog Podcast and Radio Free Skaro. I was introduced to Big Finish. I was now well and truely hooked. Now The Flashing Blade, The Minute Doctor Who podcast, the Two-Minute Timelord, and Bridging the Rift make the regular rounds on my itunes each week. There are many, many more people all over the world who contribute their own unique talents and perspectives to the discussion– and how awesome is that! The really great thing about learning about Doctor Who fandom is finding that it was composed of groups of intelligent, erudite, and entertaining people who use their mutual understanding of the show’s 46 years to frame discussions about literature, art, philosophy, morality, history, politics, and more [If you ask them, they will deny this, but it is true]. Sooner or later, of course, I wanted to be a part of the discussion. I sent in feedback and began writing my own episode reviews, and that’s when I learned another important part of this fandom– it’s collaborative. This isn’t some clique of uber-fans who set themselves high above the plebs– far from it. They actively encourage more people to come to the party and to play on their playground, and they embrace new fans and old alike. It’s this inclusive joy that makes being a fan fun. I worked up the bravery last weekend to attend my first real fan-event– a Hurricane Who viewing party of “Waters of Mars” over in Orlando. I had a fantastic time, and much like the fans I’d met on the podcasts, the people were intelligent, fun, and welcoming. It was a wonderful experience. So, today on Doctor Who’s anniversary, I raise a glass to the fans– Thanks for being fan-tastic! Secondly, I have 4 new Doctor Who-esque podcasts to listen to now: Staggering Stories, Flashing Blade, Radio Free Skaro, Tin Dog. I love you guys, but everyone comes out on a Sunday! I end up listening to you all at once, and then having nothing but old ones all of the rest of the week. Yes, I know I should pace myself, but it’s not going to happen. Third, I have just realized that I never reviewed the third recently-released Torchwood radio play, so I think that will be the next one up to bat (or, perhaps, the brilliance that is “Jeeves and Wooster”). Which ever I choose, you all have some treats coming! this is my ipod. i love him.